AeroExpo UK organisers are pleased to welcome Mahindra Aerospace, the latest exhibitor and sponsors for AeroExpo UK, 29th – 31st May at Sywell Aerodrome. Mahindra Aerospace led the Mahindra Group’s foray into utility aircraft and aerostructure manufacturing. 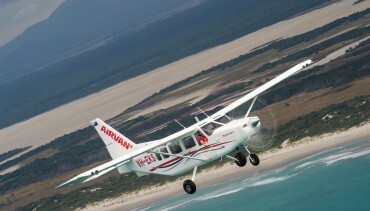 Its utility aircraft business, based in Australia, currently produces the Airvan 8, the most capable, rugged and versatile utility aircraft in its class. Certified in 38 countries, over 200 are in service. Mahindra Aerospace is currently developing a 10-seat turboprop, the Airvan 10, which is on schedule for certification in 2015. The aerostructure manufacturing businesses of Mahindra Aerospace is based in India. Most recently, the company inaugurated its 25,000 sq. m (250,000 sq. ft.) state-of-the-art, AS9100C-certified facility near Bangalore, which is equipped with a suite of sheet-metal, surface-treatment and assembly capabilities to meet the stringent requirements of the global aerospace industry.